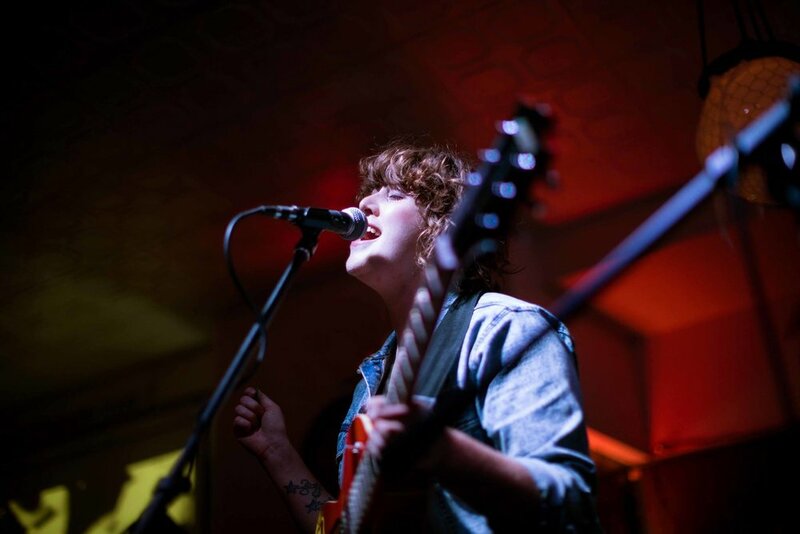 “I learned how to play guitar so I could write songs; the songs have always been my reason,” says Kait Berreckman after debuting a fresh batch of songs to a hometown crowd in Omaha. Her new work focuses on vulnerable moments and all the different ways a heart can break; from losing the family farm to falling victim to the mirage of social media. She shows a quieter, more tender side after 2016’s raucous “Battle Scenes” proving she’s a songwriter who sings not to be loud, but to be heard. “Battle Scenes” (2016) is the second full-length album from the midwest songwriter. Songs about internal struggle masked by external poise sung with unapologetic authenticity, backed by crisp and honest rock ‘n’ roll fill the nine-track album to the brim with guts and imagination. Berreckman’s signature pop-coated folk-rock from her 2011 release, “Conservation,” remains intact, but with a rockier edge.